It’s unfortunate, but it’s a fact. The Social Security Administration denies more claims than it approves. That means that many people eligible, and in desperate need, of benefits are left with nothing to help them through a very difficult time. The reason for the denial is most often not because a person does not deserve them, but simply because they have made some mistakes during the application process. Below are the most common mistakes made that result in a denial of Social Security benefits. Avoid them, and you could be one of the few that gets approved the very first time you apply. There is a significant amount of information needed when applying for Social Security disability benefits. This includes basic information such as your name and address, as well as more involved information such as information about medical records, employment history, direct deposit information, and more. To ensure that all information is provided when the application is submitted, the Social Security Administration has created a checklist of all information needed. Including all the information is the first important step, but it’s just as necessary to ensure that the information is accurate. Even one wrong number in an address can result in an application being denied. Believe it or not, a lot of people give up after they’ve been denied benefits. This is a big mistake, as most people are denied on their first try. Most cases aren’t even seriously reviewed before a denial is issued. This is often due to the mistake of not having fully complete or accurate information. This can be discouraging. Further, many people choose to appeal too late in the process. This occurs when someone is denied and seeks out other options such as unemployment insurance. When those options fail, they then try to appeal the initial denial, only to learn that too much time has passed. In these cases, the person has to start the initial application process all over again. Any time an application is denied, an appeal should be done as soon as possible. There are many reasons a person may not seek medical treatment. In some cases, people simply can’t afford medical bills, particularly when they are unable to work. In other instances, a person may not be able to get to a doctor’s office, particularly if their disability keeps them from driving. However, it is imperative that anyone applying for Social Security disability benefits seeks medical treatment as soon as possible. There are free clinics available, as well as transportation options. Public transportation is often very affordable and some hospitals, such as Jefferson University Hospitals, even offer a free shuttle. An application that is not accompanied by medical reports, diagnoses, and treatment options are simply not going to be considered. 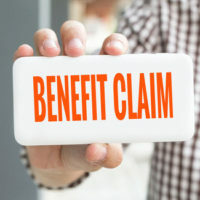 Even when treatment does not seem to be effective, it’s important patients remain in treatment if they are seeking Social Security disability benefits, and throughout the time they receive them. Making a mistake on your disability benefits application will result in a denial, and a long delay in ever receiving benefits. A Social Security disability benefits attorney in Scranton however, can ensure these mistakes are not made. An attorney will be able to help those injured or sick from the very beginning, filling out forms, to gathering evidence of the condition, such as doctor’s reports. If you have been denied Social Security benefits, or you’re about to apply, call Haggerty Hinton & Cosgrove, LLP at 570-344-9845. We know the Social Security system, and we will work hard to get you the benefits you need.